During the last decade or so there has been a constant struggle between organic and non-organic foods; an inevitable battle of the farmers, if you will. Unfortunately this resulted in the benefits of buying organic has been proselytized and the consequential effects of buying non-organic has been inflated. However, we believe that you haven’t been told the complete truth and perhaps that’s why we are here; to inform you about the truth and to enlighten those of you that rely on organic cultivation of simple products that could be classed as ‘super-foods’ that doesn’t have to be bought organic. The major argument between organic and non-organic has always been an argument of safety and we are here to tell you that you have no need to worry about safety in regards to these 15 non-organic super-foods that we are about to present to you. Low or non-existent in pesticides, nutritional and full of vitamins and minerals, we are proud to present you our list of 15 nutritional super-foods that are non-organic and, to be honest, some of these might even surprise you. 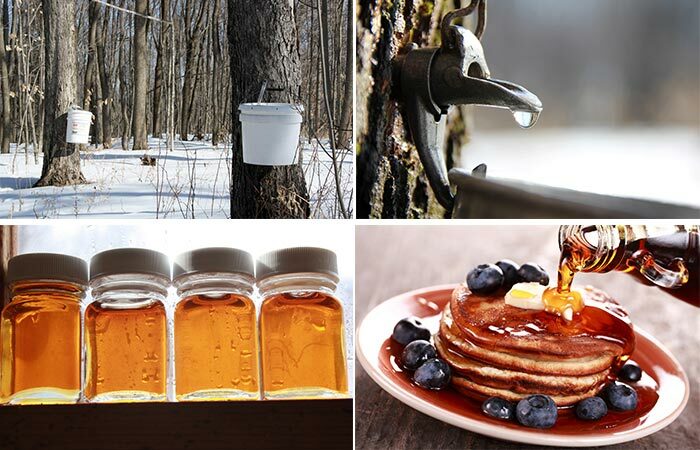 Maple Syrup is one of the many ‘clean’ foods that are out there that doesn’t need to be bought organic since Maple Syrup is forest harvested and the chance that it contains pesticides or fertilizers is almost non-existent. Even though you may feel good about buying Maple Syrup that has an organic label on it, chances are that you are simply wasting your money on scraping out a few extra bucks for it; organic Maple Syrup is a smart way to hike up the prices a little bit. Pineapples are great fruits for any hot summers day to have a healthy snack on, put into salad or even, if you are into Hawaiian style pizza, as a delicious topping but it’s also one of the foods that you do not have to buy organic. The pineapple’s tough, spiky, inedible skin creates an excellent barrier to stop pesticides from reaching the inner flesh. 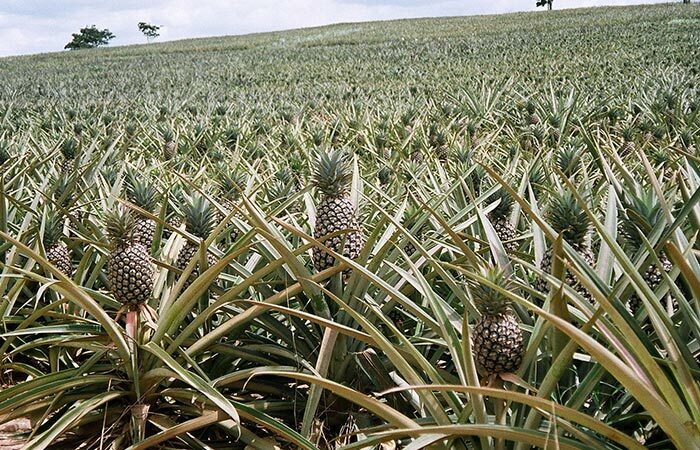 We can assure you that when buying a pineapple you have no need to worry but just remember to pick a firm one with fresh green leaves for the best flavor. Next on our list of the 15 clean super-foods is seafood. 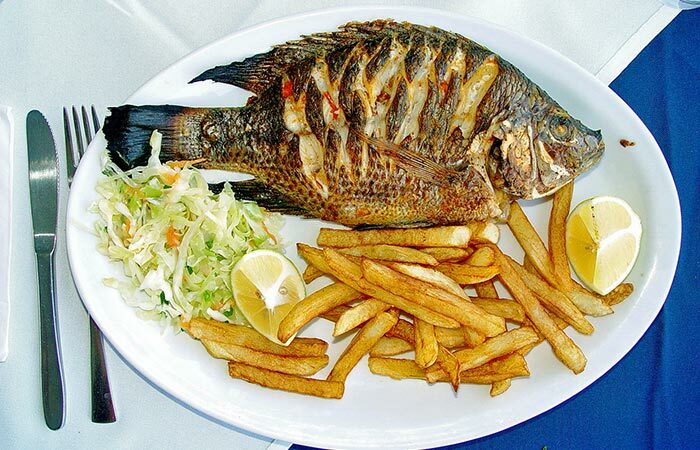 Rich in Omega 3 Fatty Acids and various vitamins, this has to be a constant inclusion into everyone’s diet. Well, as for buying it organic, there really is no need since the USDA does not have certain specifications for ‘organic’ fish and shellfish. 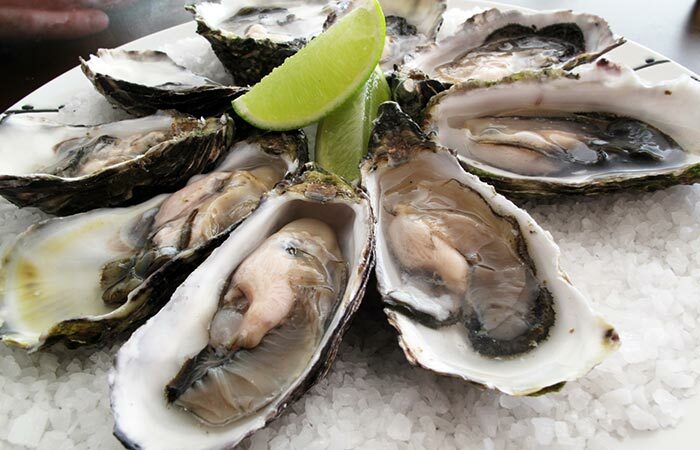 However, seafood may still contain traces of contaminants such as mercury so it’s best to buy those that contain none or extremely little such as oysters, sole and tilapia. 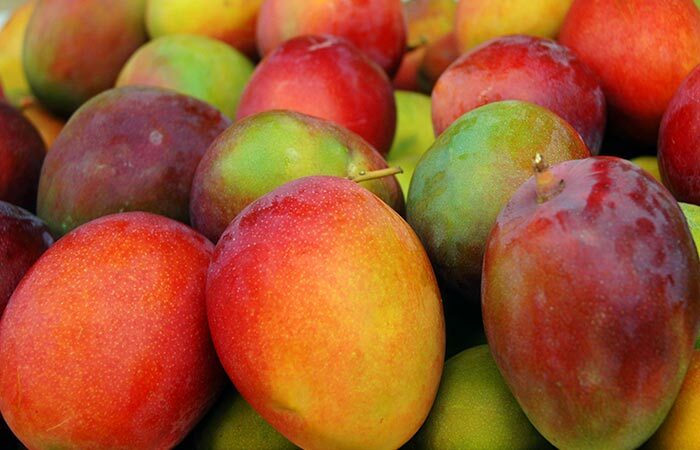 This delicious creamy fruit is deemed by the Environmental Working Group (EWG) as being one of the safest non-organic products that you can buy since it has a fairly thick skin which blocks pesticides. 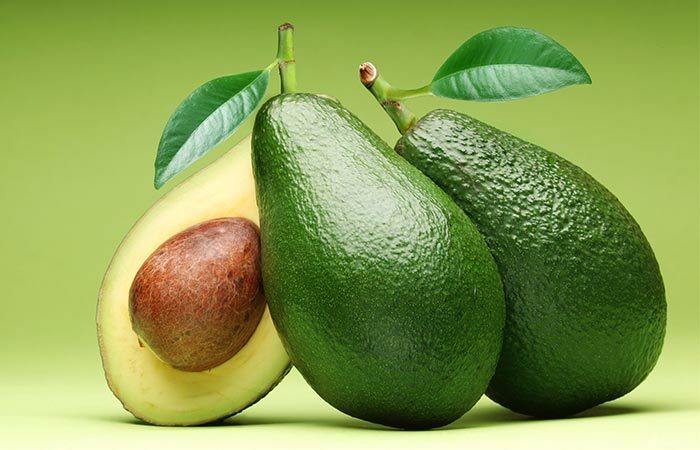 EWG spokesperson, Alex Formuzis, says, “Foods that have to be peeled, like bananas and avocados, tend to have a much lower number of residues when those foods have been prepared to eat.” Just remember to thoroughly rinse your avocados before cutting in to them to remove all surface pollutants. Onions are a necessary ingredient in almost all dishes that we cook daily. 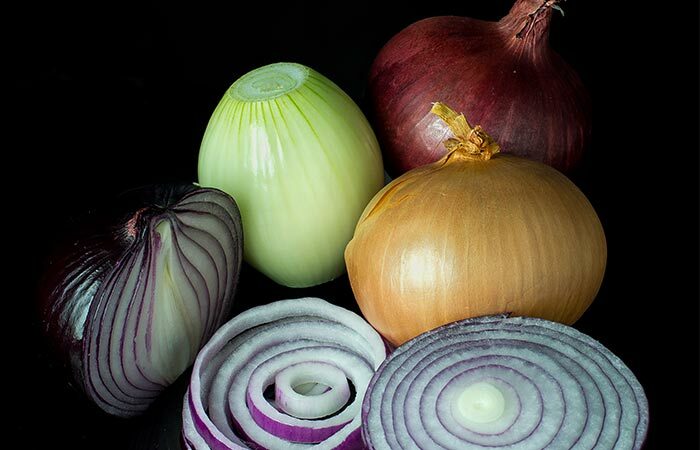 Onions also have a variety of health benefits and are classed as antibacterial. Luckily, for us, onions are also one of the safest foods that we can consume since the EWG’s 2014 “Shoppers guide to pesticides in produce” claims that 98% of onions that they had tested had been pesticide free and it’s no surprise since onions are are grown under ground and their pungent flavor naturally repels most pests. This yellowish red, sweet fruit is a must have since it’s rich in Vitamin A and Vitamin C that supplies 21% and 61% of your daily requirements respectively. Since it also possesses an inedible skin you can rest assured that buying this fruit without an organic label is a good buy. The peel reduces the amount of pesticides that could infiltrate the soft, sweet flesh inside. As always, just remember to rinse your mango properly before cutting into it and enjoy. 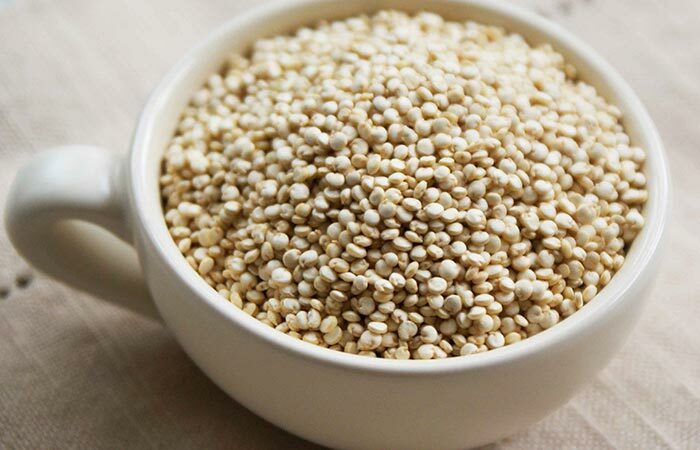 An excellent source of vegetarian protein, this grain that mainly comes from Andean import has progressed from a seldom known ingredient to an essential in many kitchens. Having many benefits for health this grain also has another ability which insures that the need to buy it organic becomes completely obsolete. Carolyn Dimitri, an associate professor of food studies at the University of New York, has this to say about quinoa, “People may use pesticides, but quinoa doesn’t need them, since it has a coating that contains bitter-tasting saponins, making the crop nearly impermeable to pests.” So rest assured that you won’t be consuming any contaminants since quinoa takes care of pests by itself. Surprise, surprise that the USDA found no chemicals on almost all of the samples of sweet corn that they tested. This all-year round veggie isn’t only delicious but also has the benefit of being sold as frozen in the cooler months as it gets processed in the height of the season and then immediately packed to retain it’s wonderful flavor and freshness. Alex Formuzis also has this to say about sweet corn, “The pesticide residue profiles for sweet corn—fresh or frozen—are very similar. 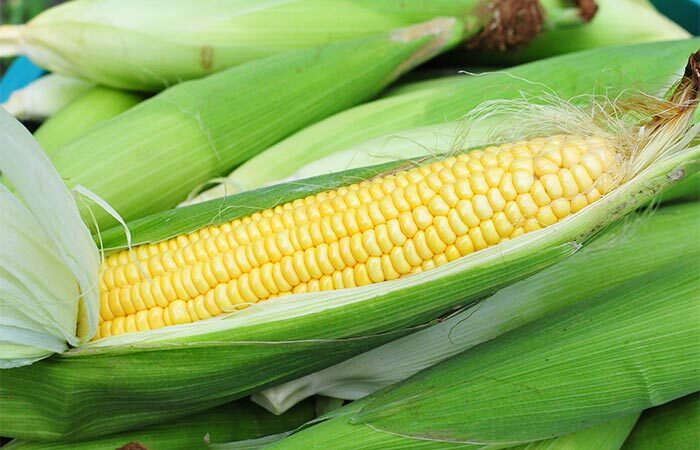 Generally neither form of corn has very many pesticides on it.” It is for these reasons that you can be at peace when buying sweet corn without the organic label. The smell from cooking this veggie is unmistakable and anyone that has ever cooked cabbage can attest to it. 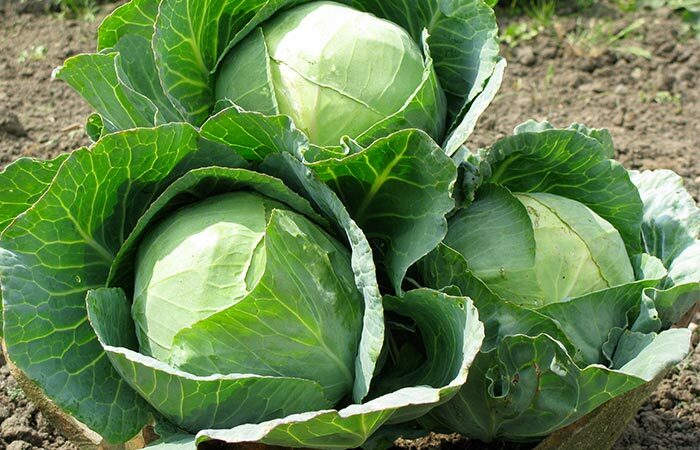 Some people love it and others hate it but cabbage is also one of the ‘clean’ foods that are out there. Just as quinoa, this vegetable inherently contains chemicals that naturally repel pests and even if it does receive some pesticide spray, the inner leaves are shielded by the outer leaves that usually get discarded upon preparation. Discarding these leaves also mean that this produce doesn’t need to be bought organic. 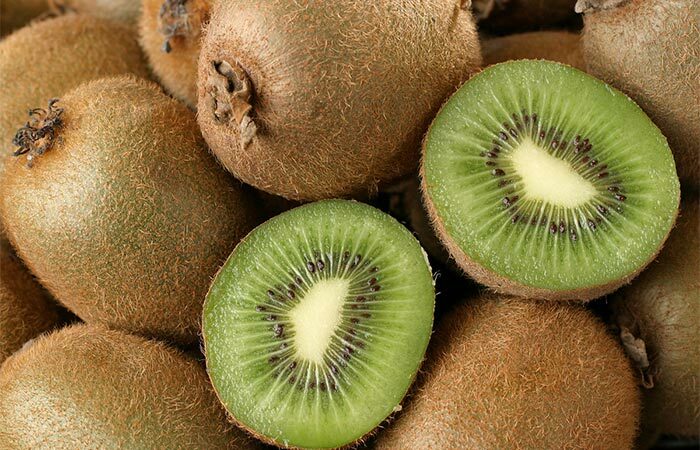 The brown skin that covers this small, fuzzy fruit is edible and full of nutrients, however, if you choose the non-organic path it is best to discard it since the skin protects the green tangy flesh inside from all forms of pesticides. An excellent choice for fruit salads, smoothies and as an addition to yogurt, you simply can’t go wrong by choosing this fruit on your exploration on non-organic super-foods. Frozen sweet peas are also a pretty safe bet since when they get processed the outer shell gets thrown away. 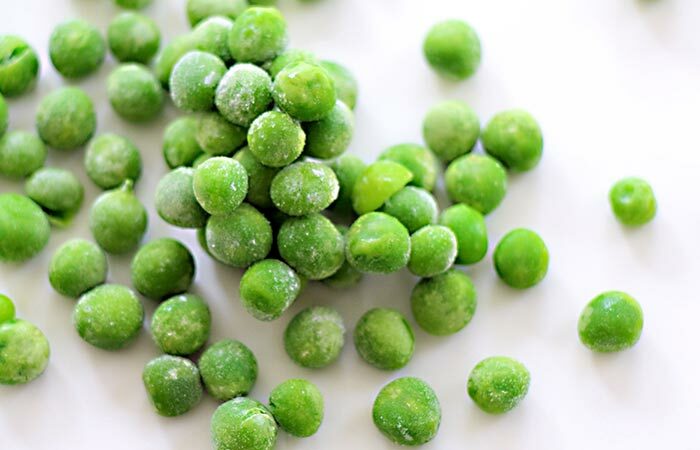 This outer shell prevents any chemicals from reaching the small, round peas on the inside and thus, frozen sweet peas are excellent for your health. They have many benefits which include containing a high amount of coumestrol which has been proven to prevent stomach cancer and can aid in weight management among many other things. 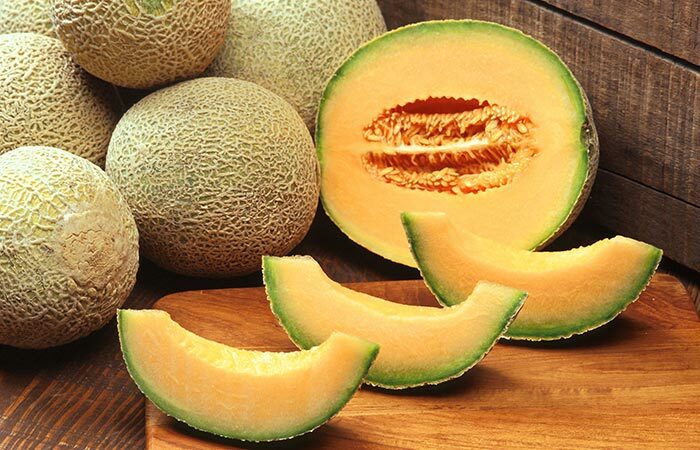 Also commonly referred to as ‘Rock Melon’ the cantaloupe is a melon that has a netted appearance. The inner flesh of this fruit is a bright orange and contains many flesh-coloured seeds but thankfully, the cantaloupe is also protected from chemical contaminants by its rugged, hard outer skin. You can take a safe bet that you can buy this sweet fruit without the presence of an organic sticker. The mushroom is an interesting vegetable to say the least. A primary fungal decomposer, it is interesting to note that the mushroom that we eat is only the fruit of the plant and that the true body of the plant lays underground in a fine network of mycelium. Mushrooms are grown on a growth substrate and generally, as a rule, pests do not attack mushrooms. 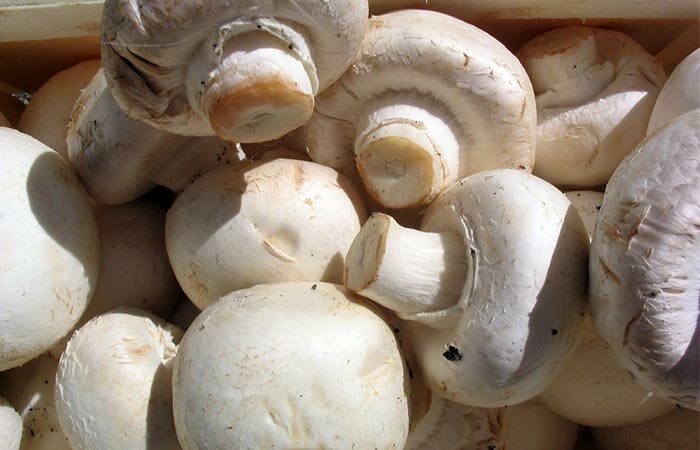 They are also considered very clean because of the lack of added chemicals and because the natural growth of mushrooms results in a completely pathogen free vegetable. A strange vegetable with a deep indigo color it might surprise you that eggplant is considered as one of the top 15 ‘cleanest’ foods that one can find. According to the EWG’s website, eggplant rates as number 41 on a scale of 1 to 51 (The lower the number, the higher the amount of pesticide). 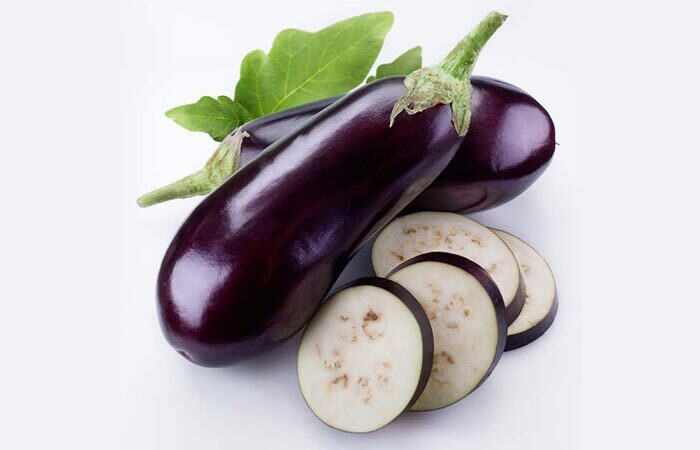 Apparently, 74.5% of all eggplant samples that were tested by the EWG contained absolutely no traces of contaminants and you can sure save a few extra bucks by buying this vegetable in the regular priced section of the store. Once again, and what seems to be a general rule when buying ‘clean’ foods, grapefruit ranks among the top 15 for its yellowish citrus skin. At times quite bitter but nonetheless, still a tasty and healthy fruit. 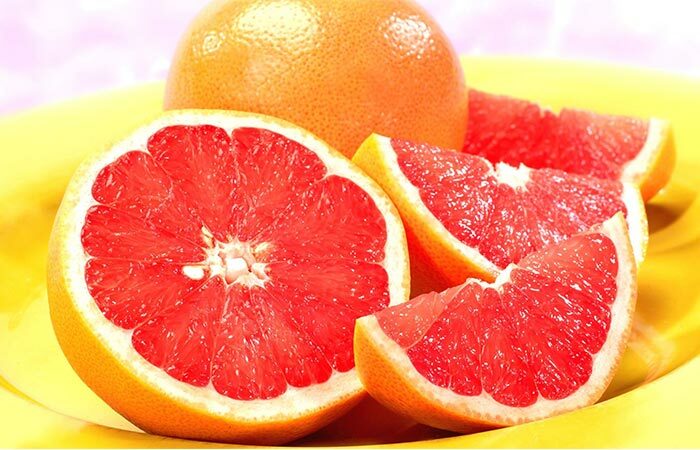 Grapefruit is a safe non-organic produce that ranks in at number 40 on the EWG’s ‘2014 Shoppers guide to pesticides in produce’. As always, it is a good idea to rinse your grapefruit well before cutting into it.